Home>Music> Drake Pours One Out For Nipsey Hussle: "Rest Easy"
Drake was one of the first to publicly react to Nipsey Hussle's shooting this weekend, posting a long message about how the two had planned to work together on a new single this summer. Unfortunately, their plans never came to be but Drake intends on keeping Hussle's legacy alive, honoring him during one of his London shows and recently taking to the streets to pour one out for his fallen brother. In the latest addition to his Instagram story, Drake made sure to follow up on his previous tributes with a new one, pouring out some beer on the pavement in honor of the late Nipsey Hussle. Drizzy can be heard in the background, speaking up to the heavens and remembering his friend. "For Nipsey," said one of the Canadian's friends. "Yeah, exactly," added Drake. "Exactly. Rest easy. Yeah, the whole thing. Trust me, like that." 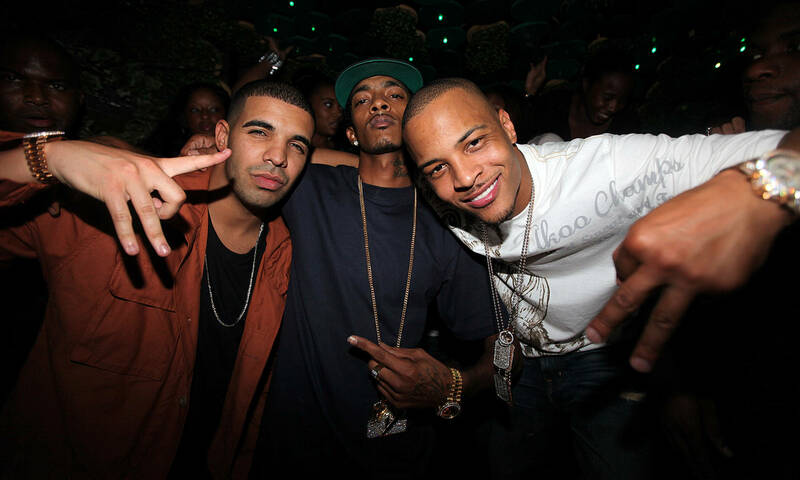 Drake and Nipsey Hussle had previously collaborated in 2009 and they planned to link up again this summer for a new song. This week, the artist paid his respects to the late Hussle during his live show. Drake has been one of the more vocal celebrities honoring Hussle. His passing has shaken up the entire music industry and yesterday, it was reported that the primary suspect in his murder had been arrested. MUSIC Drake Pours One Out For Nipsey Hussle: "Rest Easy"